Indie spotlight focuses on self-publishing and indie authors. 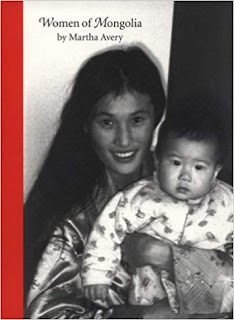 Hawaii-based, Hong-Kong-born Claire Chao is the co-author, with her mother Isabel Sun Chao, of Remembering Shanghai: A Memoir of Socialites, Scholars and Scoundrels, published by the indie publisher, Plum Brook. Remembering Shanghai follows five generations of the Chao family over two centuries, from the time of Claire's great-great-grandfather down to the present. Mother and daughter traced their family story as far back as they could. Claire's great-great-grandfather rose from poverty to become a minister to the empress dowager, and built a large portfolio comprising hundreds of properties, a bank and a shipping company. Isabel Sun Chao, the memoir's main protagonist, grew up the third daughter among six siblings in glamorous 1930s and ’40s Shanghai - everyone’s favorite child, cosseted by servants, wet nurses, cooks, drivers, even a resident tailor. Soon after Mao came to power in 1949, Isabel journeyed to Hong Kong. Clutching a pink suitcase packed with party dresses to wear on her spring holiday, she didn’t realize that she would never see her father, or her grandmother, again. 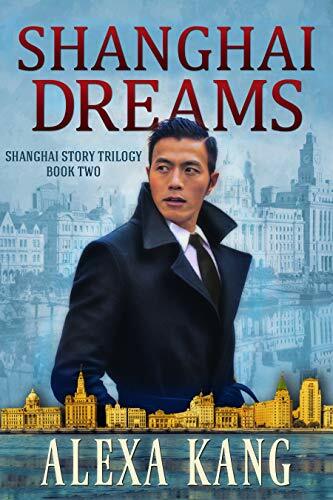 Claire accompanied her to Shanghai nearly 60 years later to confront her family’s past, one that they would together discover to be by turns harrowing and heartwarming. 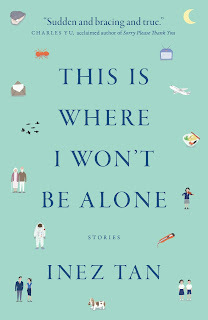 Claire here discusses why she and her mother decided to write a family memoir, and gives advice to other indie authors. K. Bird Lincoln, an American, now lives in the Midwest, but she has previously lived in Japan. 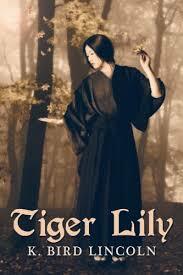 She is the author of the medieval Japanese fantasy series, Tiger Lily, which explores the gender-bending lives of rebellious girls living during a period of Japanese history relatively little-known in the West. 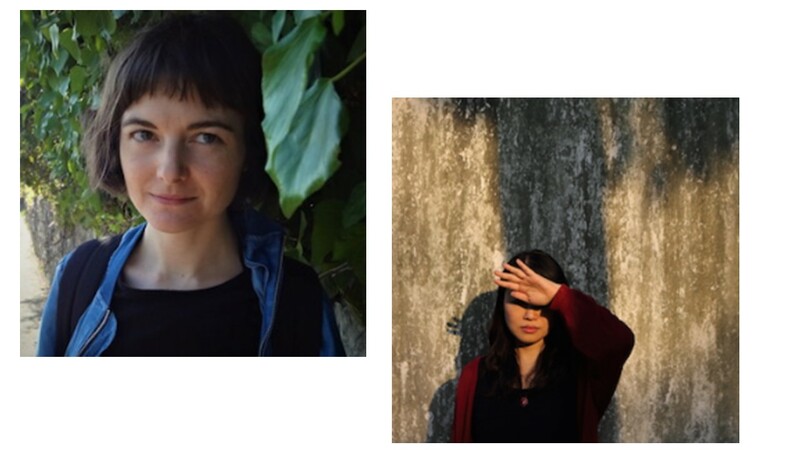 Here, K. Bird Lincoln talks to Alexa Kang about Onnagatta and Onna bugeisha, gender-fluid Japanese who inspired her character, Tiger Lily. You think being a small indie publisher is challenging? Then trying being a small indie publisher who focuses on translations from Chinese! Today, Nicky Harman interviews Roh-Suan Tung, of Balestier Press, about what propelled him into publishing, his favourite books and his hopes for the future. 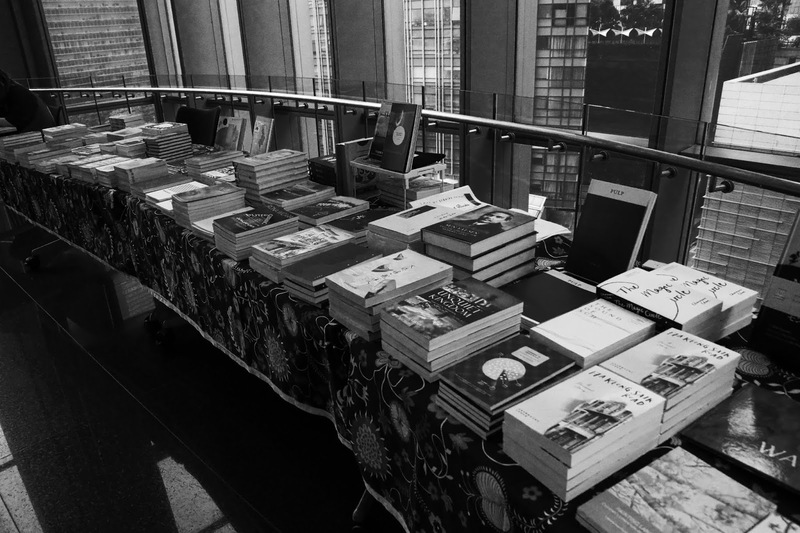 Founded in 2013, Balestier Press is an independent publisher of Asian literature and books related to Asia, including novels, essays and picture books, for children, young adults and adults. Balestier aims to provide a diverse platform for the different voices in Asia by publishing the best and most innovative Asian literature. Director Roh-Suan Tung says: “We hope to promote a greater cultural understanding and awareness of Asia, to tell the story of an evolving Asia through its people, culture, literature and artistic expressions." NH Can you tell me how and why you got into publishing? I understand you came from a science background. I started by publishing newsletters on media freedom in Taiwan in the 80s. I then became a theoretical physicist and served as editor for international journals and academic publishing for a few years. I enjoyed exploring the frontiers of physics and our understanding of the cosmos, and I appreciate the value of science, but I’ve always felt the need for more English-language publications in literary arts and humanities. Partly because I’ve lived in quite a few major cities in the east and the west. 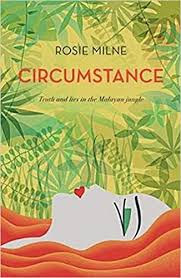 If you're in Singapore do come along to the Asia launch of Circumstance by Rosie Milne, editor of Asian Books Blog, at the Singapore Writers Festival. Circumstance is launching alongside A Yellow House by Karien Van Ditzhuijzen. Details: Sunday 11 Nov, 3.30 pm, the Arts House. See you here, I hope!! 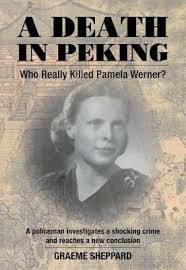 The brutal murder of 19-year-old Pamela Werner in Peking one night in January 1937 shocked the world, and the police never named the murderer. The best-selling book Midnight in Peking, by Paul French, declared the perpetrator to be an American dentist, but Graeme Sheppard, a retired British policeman with 30 years’ service in the UK, with the Metropolitan Police, decided that conclusion was flawed. After spending years investigating the case, he came up with an entirely different conclusion. So who did it? Who killed Pamela? Ng Yi-Sheng is a Singaporean poet, fictionist, playwright, journalist and LGBT+ activist. 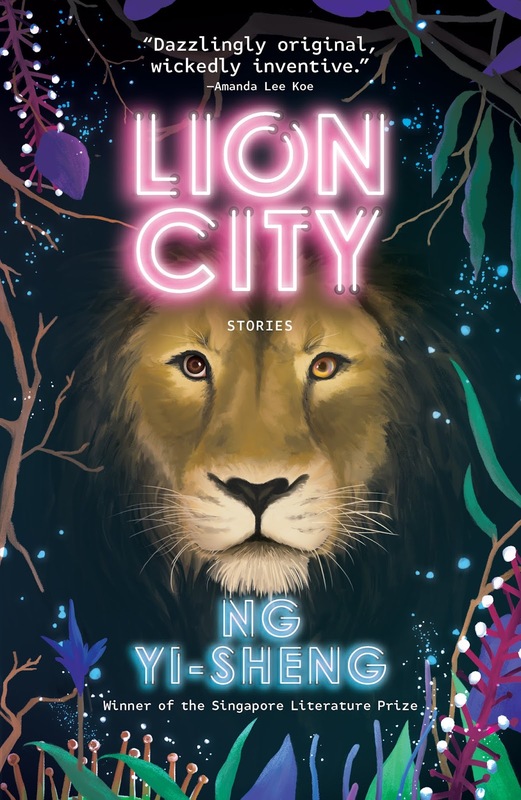 He has just published Lion City, his first collection of short stories, inspired by speculative fiction, Singaporean history and myth. He’s currently working on a novel as part of a Creative Writing PhD at Nanyang Technological University (NTU), and a performance lecture for the Singapore Fringe Festival, titled Ayer Hitam: A Black History of Singapore. 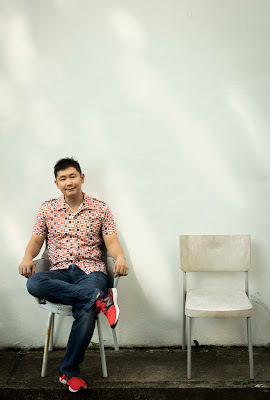 His books include the poetry collections last boy (winner of the Singapore Literature Prize 2008), Loud Poems for a Very Obliging Audience, and A Book of Hims; the movie novelisation Eating Air and the non-fiction work SQ21: Singapore Queers in the 21st Century. Additionally, he translated Wong Yoon Wah’s Chinese poetry collection The New Village and he has co-edited publications such as GASPP: A Gay Anthology of Singapore Poetry and Prose, Eastern Heathens: An Anthology of Subverted Asian Folklore and SingPoWriMo 2018. He has also been active in the professional theatre since the age of 17, collaborating with companies such as TheatreWorks, W!ld Rice, Toy Factory and Musical Theatre Ltd to create plays like Hungry, 251, Georgette, The Last Temptation of Stamford Raffles and Reservoir. He is a founding member of the spoken word troupe the Party Action People and co-organised the annual queer literary reading ContraDiction for twelve years. EC: Welcome to AsianBooksBlog, Yi-Sheng. A real honour to have you. First, congratulations on the publication of Lion City (Epigram Books), which will be launched at the Singapore Writers’Festival 2018. It’s a fantastic read, full of mordant humour, allegorical fabulism, political heft, and a willingness to say the unsayable. 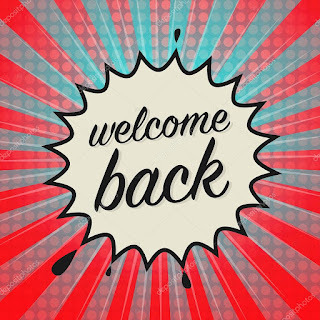 NYS: Thanks so much! I’m so pleased you liked it. 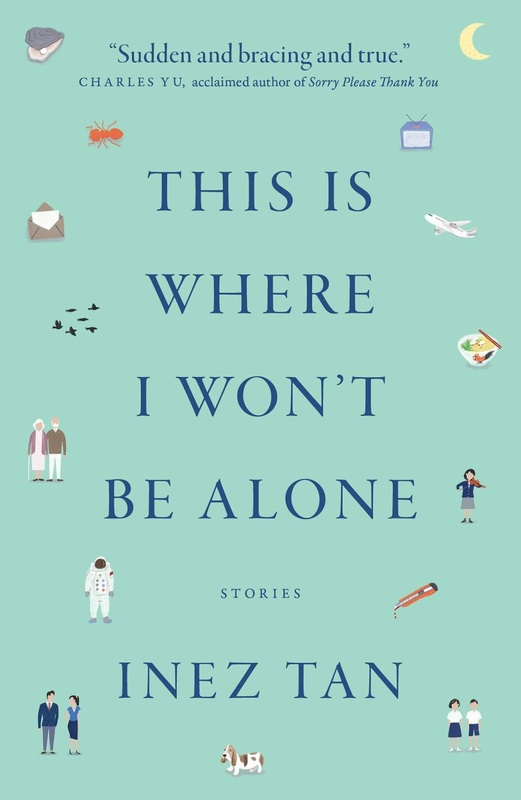 EC: Praise for the book, notably Sharlene Teo, likens your stories and voice to Etgar Keret. Also Neil Gaiman. Are they influences? NYS: Neil Gaiman’s been a massive influence on me: as a teenager in the 90s I read the Sandman and Books of Magic comics while they were coming out, and had my mind utterly blown by the idea of this globally (and cosmically) unified mythology and by the idea that magic’s just lurking at the edges of the contemporary urban world. Neverwhere, Marvel 1602, Smoke and Mirrors and The Graveyard Book have been great favourites too. I’m afraid I’ve never read Etgar Keret, but I must: Lavie Tidhar also said I sounded like him. 500 words from is an occasional series in which novelists talk about their new novels. Jo Furniss has recently brought out The Trailing Spouse. 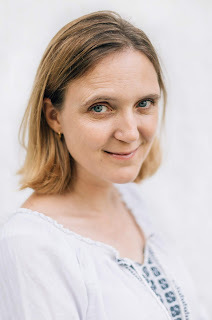 After spending a decade as a broadcast journalist for the BBC, Jo became a freelance writer and serial expatriate. Originally from the United Kingdom, she spent seven years in Singapore and also lived in Switzerland and Cameroon. Jo’s debut novel, All the Little Children, was an Amazon Charts bestseller. 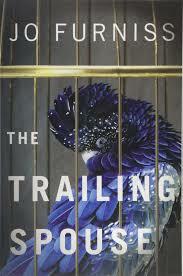 The Trailing Spouse is a novel of marriage, betrayal, and murder set in Singapore. Amanda Bonham moved halfway around the world to be with the man she loves. Although expat life in Singapore can be difficult, Edward Bonham is a dream husband and a doting father to his teenage daughter, Josie. But when their maid dies in an apparent suicide, Amanda can’t help but wonder if her perfect husband has a fatal flaw. And if he can’t resist temptation under their own roof, what does he get up to when he travels? Camille Kemble also has questions for Edward. Recently returned to Singapore, Camille is determined to resolve a family mystery. Amid a jumble of faded childhood memories, she keeps seeing Edward’s handsome face. And she wants to know why. For one woman, the search for answers threatens everything she has. For another, it’s the key to all she lost. Both are determined to find the truth. 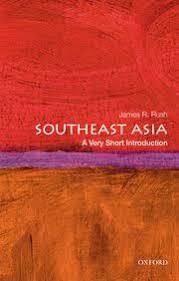 This post is about The Annotated Malay Archipelago, a version of the book that 19th-century naturalist Alfred Russel Wallace wrote based on journals from his eight-year journey among the islands of Southeast Asia several years after his return to England. It was originally published in two volumes in 1869, and has never been out of print. Wallace, a contemporary and correspondent of Charles Darwin, helped develop, or at least accepted early on, Darwin’s theory of natural selection and plotted what is now known as the Wallace Line, which separates the two ecologically distinct zones of Asia and Australia. 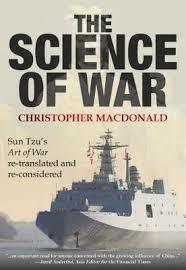 Contemporary readers will probably wince at Wallace’s “kill and collect” approach to studying exotic birds and mammals and abhor his characteristically Victorian racist generalisations about the physical and moral characteristics of the Asian people he encountered. Nevertheless, his work is worth reading. 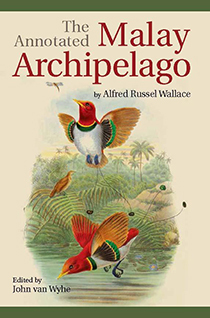 Wallace was an intrepid adventurer intent on studying creatures in far-flung lands, and his fascination with the wonders of the natural world continues to inspire joy. See below to find out what you need to know to decide whether you should read The Annotated Malay Archipelago, or what you should know about it even if you never do! 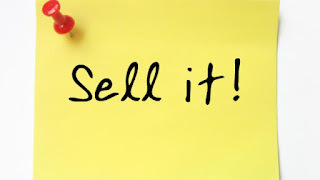 Indie spotlight focusses on self-published authors and self-publishing. 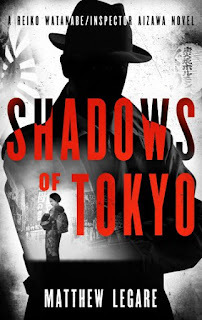 Here, Matthew Legare discusses his new novel Shadows of Tokyo, the first in a projected historical thriller-noir series set in pre-World War II Japan. The second book, Smoke Over Tokyo, is coming soon. Matthew is an indie author publishing under the Black Mist Books imprint. 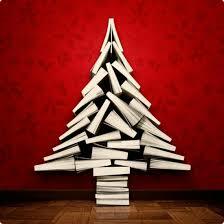 He also reviews new fiction and interviews authors on his blog. Last week, I was at Cheltenham Literary Festival, appearing on a panel with Yan Ge and Natascha Bruce. 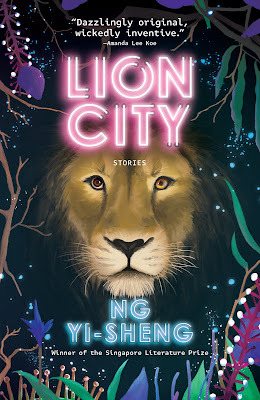 We had carte blanche to talk about Translating China, but decided to focus on Yan Ge’s new novel, The Chilli BeanPaste Clan (Chinese: 《我们家》) because (let’s be honest) it helps sales, and because the three of us all had plenty to say about the book. The Chilli Bean Paste Clan is set in a fictional town in West China and is the story of the Duan-Xue family, owners of the town’s lucrative chilli bean paste factory, their formidable matriarch, and her badly-behaved, middle-aged son. As the old lady’s eightieth birthday approaches, her children get together to make preparations. Tensions that have simmered for many years come to the surface, family secrets are revealed and long-time sibling rivalries flare up with renewed vigour. 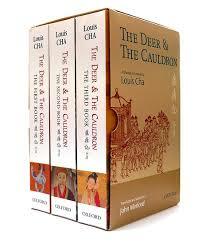 Between 1997 and 2002, John Minford, now Emeritus Professor of Chinese at the Australian National University, brought out a three-volume translation of the rollicking Chinese martial arts novel, called, in English, The Deer and the Cauldron, with Oxford University Press Hong Kong (OUP HK). Now OUP UK has published it in the UK. As John explains: "I worked on the translation with David Hawkes, my father-in-law, and, on the last volume, with my late wife Rachel May, for about 10 years from the mid 1990s." John here writes about the sprawling and beguiling example of Chinese popular culture he and his collaborators worked on for so long. The annual month-long Oxford Book Fair, organized by Oxford University Press (OUP), is running until 7 November at Oxford bookshops in cities throughout Pakistan. The much-awaited yearly event always draws a large number of visitors. The selection of books featured includes both locally published and imported children's books, English Language Teaching material, reference books, and school and higher education textbooks. For the general reader, there are non-fiction titles on international affairs, politics, history, anthropology, women’s studies, art, and literature. Biographies and memoirs of prominent Pakistani personalities are being showcased. Oxford’s hallmark English and bi-lingual dictionaries and thesauruses are available at special, reduced prices. 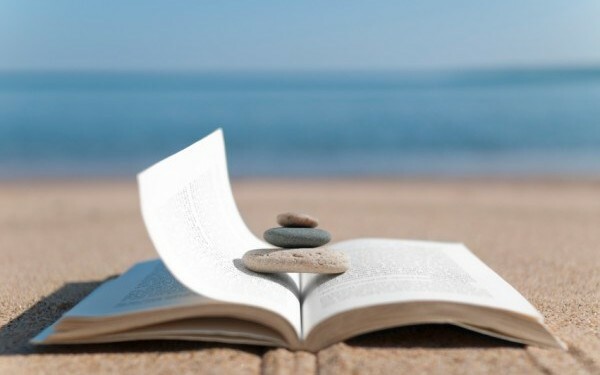 500 words from is an occasional series in which novelists talk about their new novels. Robert F. Delaney has just brought out The Wounded Muse. Robert has been covering China as a journalist for media outlets including Dow Jones Newswires and Bloomberg News since 1995, and was recently appointed U.S. Bureau Chief for the South China Morning Post. In his spare time, he turned to writing about the personal struggles of those caught in the middle of China’s ongoing transformation into an economic powerhouse. Many of the themes for The Wounded Muse were first developed in his earlier collection, Route 1 to China. Robert now splits his time between New York City and Toronto. 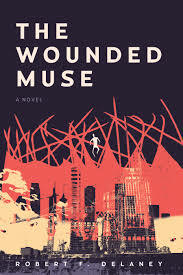 The Wounded Muse, a novel based on actual events, follows Qiang as he returns to his homeland, China, from Silicon Valley, during the lead up to the 2008 Olympic Games. In Beijing, he finds wrecking balls are knocking down entire neighborhoods to make way for fancy modern structures. Qiang begins shooting footage of the tumult for a documentary. When he’s arrested, it falls on his sister, Diane, and an American journalist, Jake, to figure out how to end his detention. With different ideas about how to approach a vast Chinese security apparatus, Diane and Jake don’t know how to trust each other. Meanwhile, Dawei, an itinerant Jake befriended years earlier, returns to Beijing to retrieve a memento that has suddenly become valuable. Dawei finds himself ensnared in a plan to force the authorities to release Qiang. 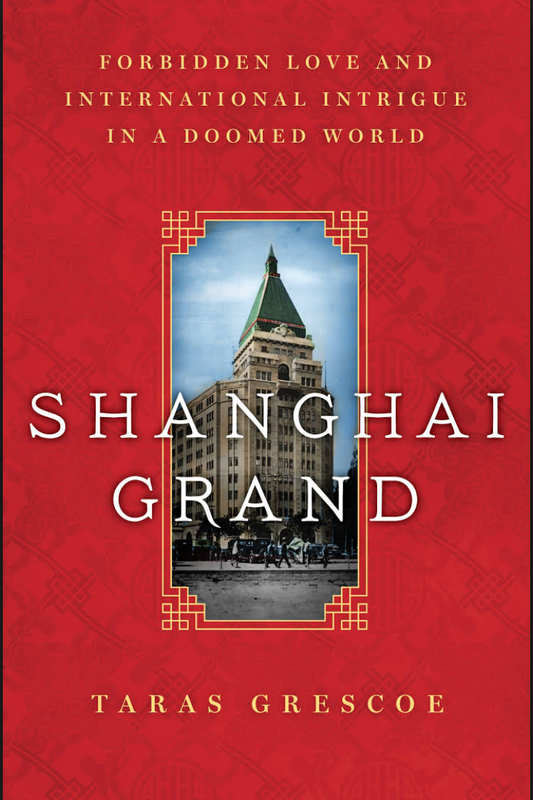 Diplomat, author and historian Tess Johnston has published extensively about Asia, including 15 books about architecture in Shanghai. An American, Tess has lived and served abroad with the US Foreign Service and the Consulate General, for more than half a century, including more than 40 years in Asia. Her first Asian posting was to Vietnam from 1967-74, at the height of the war; her second was to Shanghai, where she lived and worked for more than 3 decades. In Saigon, Tess snared a job with one of the most famous,or infamous, of American wartime leaders, John Paul Vann. 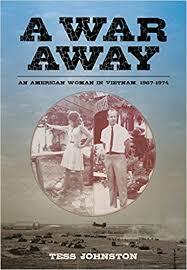 In her latest book, A War Away: An American Woman in Vietnam, 1967-1974 Tess recounts stories of her Vietnam years, including her eye-witness account of the Tet Offensive, and what it was like to be one the few American women there during those harrowing years. Tess has an abiding love for both Vietnam and Shanghai. Here she compares her memories of each place. 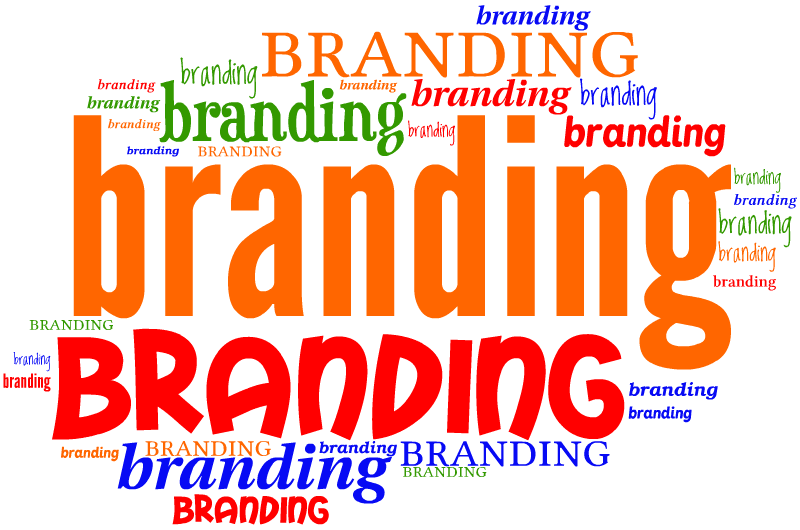 Indie spotlight focusses on self-published authors and self-publishing. 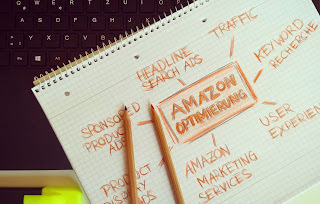 Here, in the second of today’s Indie spotlight dual edition, Ilan Nass, from Taktical Digital in New York City, gives general advice on how sellers can maximise sales through Amazon. 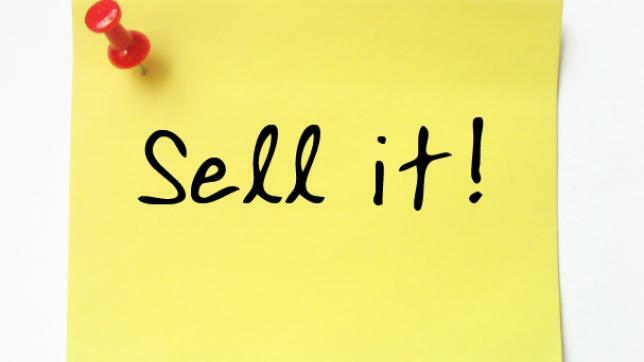 Indie authors can adapt this advice to suit their own aim: selling books. Spot the authors: Jia Pingwa, Mo Yan and Tie Ning are in the front row. Also in the picture are Alai, Yu Hua, Lu Min and many many others. Nicky Harman reports on a meeting of minds. The International Sinologists Conference on Translating Chinese Literature (汉学家文学翻译国际研讨会FISCTCL) brings authors from all over China and translators from all over the world, to a different venue in China every two years. This year, we were in Guiyang, China, for the fifth biennial conference. 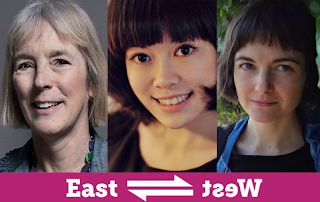 Despite the unwieldy title and even more unwieldy acronym, it is an extremely enjoyable event, one of a kind, giving translators a chance to meet and bend the ear of their authors (or people whom they would like to translate) and giving authors the chance to learn more about the process of translation and the promotion of their works overseas. FISCTCL is run by the China Writers Association (CWA), who have done a brilliant job over the last decade adapting the initially rather formal conference format, to the quirky demands of a bunch of maverick, enthusiastic and creative translators! The upshot is that for the last two FISCTCLs, we have spent most of the two days in discussion groups of about twenty. 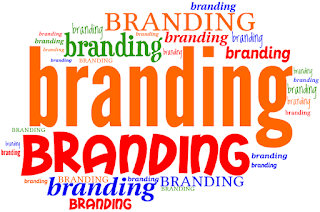 Depending on the mood and composition of the group, individuals can either give a presentation they have prepared in advance or have a free discussion. Aurelia Paul recently graduated from Boston University, where she was studying comparative literature and Chinese. In her column Student bookshelf, she shares responses to materials she has explored in her classes. 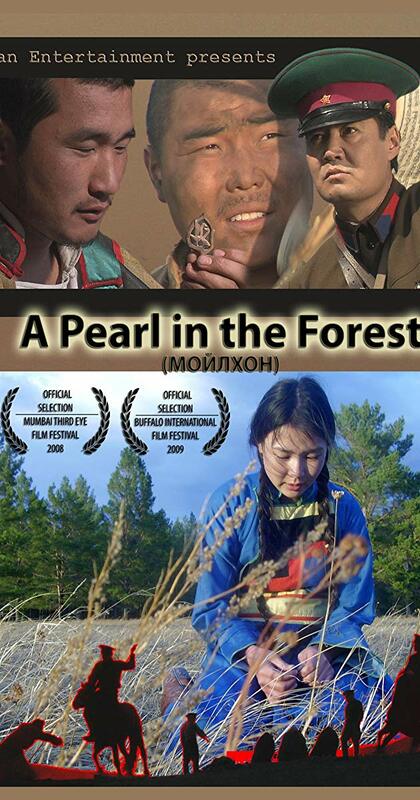 Today, Aurelia will be discussing a Mongolian film that came out in 2008, Enkhtaivan Agvaantseren’s A Pearl in the Forest. This work comments on the persecution of Buryat refugees in Mongolia in the 1930s. The Buryats are the dominant ethnic minority group that lives in Siberia. They speak their own language, also called Buryat. This language is similar to Mongolian and uses the Cyrillic script. Buryats, like Mongols, traditionally live nomadically in gers. However, because of close contact with Russia, some Buryat settlements have become agricultural. People living in these settlements often reside in Russian-style wooden houses, which can be seen in the film. In 1923 the Soviet administration created the Buryat-Mongol Autonomous Soviet Socialist Republic within the Union. However, Stalin was alarmed by the possibility of Soviet resistance from the Buryat community, and so ordered a campaign against them. Thousands of people died as a result of this ethnic violence, and numerous Buddhist sites of worship were destroyed. 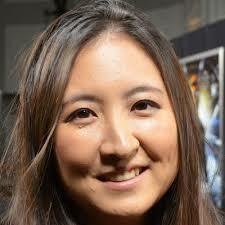 Dorothy C. Wong is Professor of Art and Director of the East Asian Center at the University of Virginia. 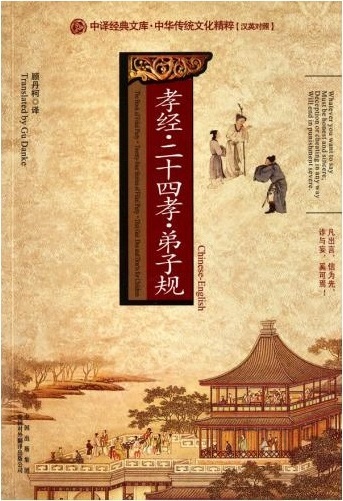 She has published Chinese Steles: Pre-Buddhist and Buddhist Use of a Symbolic Form (2004; Chinese edition 2011), Hōryūji Reconsidered (editor and contributing author, 2008), and China and Beyond in the Mediaeval Period: Cultural Crossings and Inter-regional Connections (co-editor with Gustav Heldt, and contributing author, 2014). Her most recent book is Buddhist Pilgrim-Monks as Agents of Cultural and Artistic Transmission: The International Buddhist Art Style in East Asia, ca. 645-770. In the mid-seventh century, a class of Buddhist pilgrim-monks disseminated an art style in China, Japan, and Korea that was uniform in both iconography and formal properties. Traveling between the courts and religious centers of the region, these pilgrim-monks played a powerful role in this proto-cosmopolitanism, promulgating what came to be known as the International Buddhist Art Style. 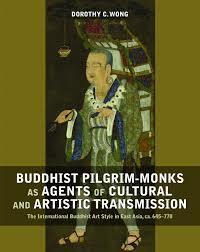 Buddhist Pilgrim-Monks as Agents of Cultural and Artistic Transmission: The International Buddhist Art Style in East Asia, ca. 645-770 investigates the formation and circulation of an East Asian International Buddhist Art Style by focusing on the role played by Buddhist missionaries and pilgrim-monks as agents of cultural and artistic transmissions. This week I read about literature from a digital source, a blog series on the Best American Poetry website. 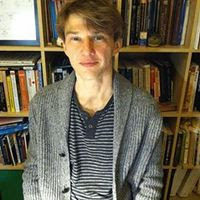 Simon Wickham-Smith created the blog series in 2009, with the aim of making modern Mongolian literary works more accessible for a global audience. One of the difficulties that students studying Mongolian literature in English often come across is that physical texts are hard to obtain and expensive to purchase because publishers use short run printing. 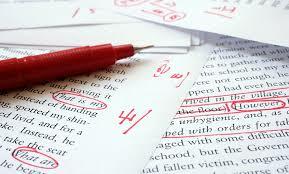 Digital genres such as blog posts and online articles, and PDFs of printed works can help counteract this problem. In addition to being published online, Modern Mongolian Literature in Seven Days is also free to read, and this promotes equal access to knowledge. 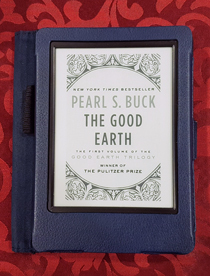 This post is about The Good Earth, the first volume in a trilogy that tells the story of a farmer named Wang Lung and his descendants in the early 1900s in China. In 1932 the novel won a Pulitzer Prize, and in 1938 the author won the Nobel Prize for Literature. In 2004, Oprah put the book back in the spotlight when she chose it for her book club. 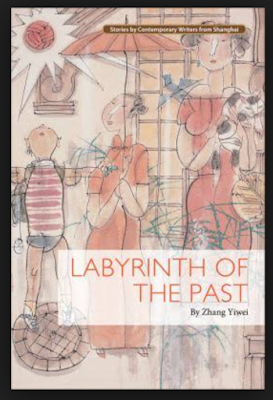 The author was an American who spent considerable time in China both as a child and as an adult. Some insist that she was nevertheless a cultural outsider bound by stereotypes, while others feel her depiction of life in China was well informed and thus informative. See below to find out what you need to know to decide whether you should read The Good Earth, or what you should know about it even if you never do! Janet Steele is associate professor of media and public affairs, and international affairs, at George Washington University, USA. She is the author of Email dari Amerika (Email from America) and Wars Within: The Story of Tempo, an Independent Magazine in Soeharto's Indonesia. 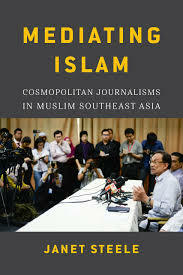 She has just brought out Mediating Islam: Cosmopolitan Journalisms in Muslim Southeast Asia. Mediating Islam asks: what is Islamic journalism? 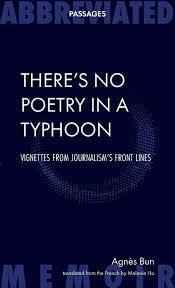 It examines day-to-day journalism as practiced by Muslim professionals at five exemplary news organisations in Malaysia and Indonesia. At Sabili, established as an underground publication, journalists are hired for their ability at dakwah, or Islamic propagation. At Tempo, a news magazine banned during the Soeharto regime, the journalists do not talk much about sharia law; although many are pious and see their work as a manifestation of worship, the Islam they practice is often viewed as progressive or even liberal. At Harakah reporters support an Islamic political party, while at Republika they practice a "journalism of the Prophet." Secular news organisations, too, such as Malaysiakini, employ Muslim journalists. In her guest post for Asian Books Blog, Janet talks about the generosity of her sources in the world of Islamic journalism, in the years leading up to the recent Malaysian general election. 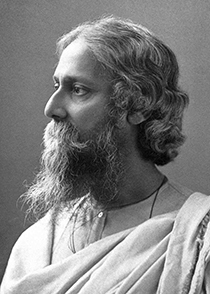 C. G. Menon is a British Asian writer born in Australia. Her debut collection of short stories, Subjunctive Moods, is published by Dahlia Publishing. Subjunctive Moods deals with tiny moments of missed connection and of realisation: the heartbeats by which we all grow up. The stories span generations, continents and cultures and feature both Malaysian and Indian folklore. 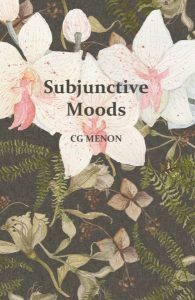 Subjunctive Moods contains stories set in Malaysia, Australia and Britain. One of my primary focuses in all these pieces is identity: what is it that makes us belong to a particular place, culture or family? The touchstones of identity are different when seen through an external perspective; the most important bonds often stem from memories and experiences which are overlooked by others. I believe we all have pre-conceived notions about what other cultural groups are like – “these people like music”, “those people tell stories”, and it isn’t until we’re taken out of our own familiar places that we begin to realise how reductionist these beliefs are. Going beyond our own boundaries makes us re-examine what home feels like, and to find a way to carry it with us. I think this is what makes folklore so pervasive, and its stories so compelling. Myths and their re-tellings teach us about how to be part of a community and how to grow. You don’t need to be familiar with the external trappings of the myth – the talking fish, the demon-without-a-nose, the vampiric woman – to understand what it’s telling you. Aurelia Paul recently graduated from Boston University, where she was studying comparative literature and Chinese. In her fortnightly column Student bookshelf, she shares responses to texts she read in her classes. Here she discusses Martha Avery’s book Women of Mongolia, an interesting combination of interviews, narration, and black and white photographs. 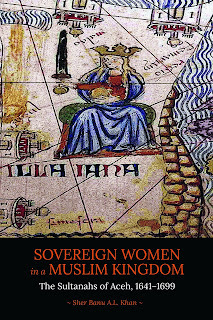 Martha Avery has organised the book into a large number of sections, for example, ‘Buddhism and Tradition’ and ‘Professional Women’. 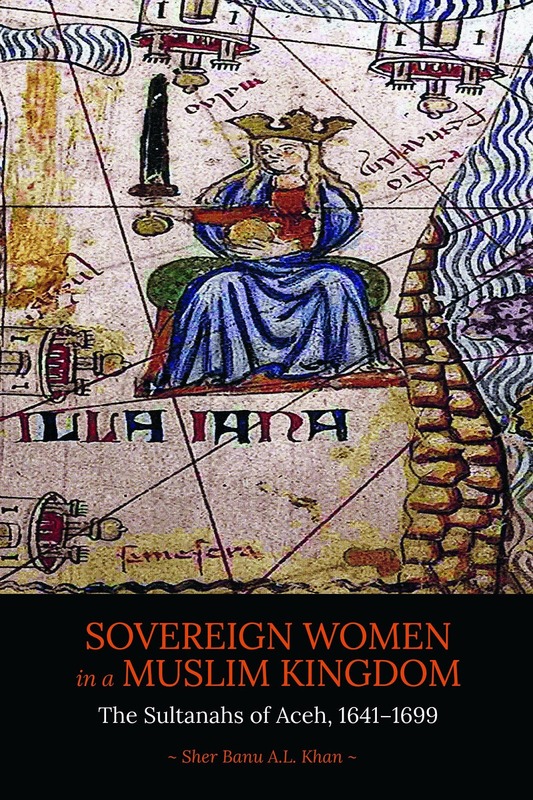 In her preface, she explains that, “the women whose lives appear here could be viewed as ‘country women’ and ‘city women,’ except that many of them fall in between.” Often, in countries that have high rates of rural to urban migration people get grouped into firm categories depending on their location. To do this, however, is to ignore personal migration histories and transitional periods. 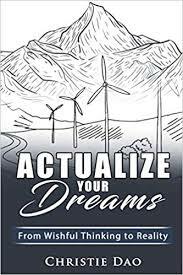 It is one of the things I like the most about Avery’s book that she decides to oppose the harsh divisions of rural/ urban and instead focus more on other cultural factors. This post is about Not out of Hate, an allegorical tale of a young Burmese woman in an unhappy marriage with a westernised Burmese man. 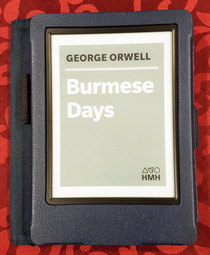 Often compared with George Orwell’s Burmese Days, it communicates an anti-colonial message from the point of view of the local Burmese. The book can be read as the story of one dutiful young woman’s relationship with her overbearing husband—or as an allegory for her country under British rule. 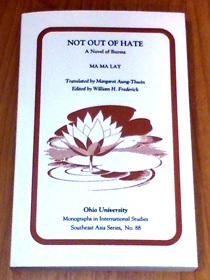 Published in 1955 in Burmese under the title Mon Ywe Mahu, it won a national literary award and sold many copies. 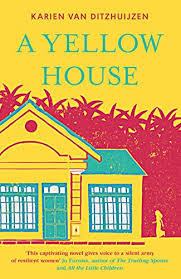 Decades later, in 1991, it became the first Burmese novel to be translated into English and published outside the country. See below to find out what you need to know to decide whether you should read Not out of Hate, or what you should know about it even if you never do! 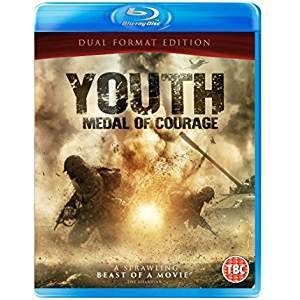 Youth: Medal of Courage. Do Chinese films ‘translate’? Youth (芳华) is a Chinese film by popular director Feng Xiaogang with a screenplay written by Geling Yan. The film follows a group of young people in a military art troupe in the People's Liberation Army during the Cultural Revolution, through the Sino-Vietnamese War in 1979, and on into middle age. It was the 6th highest-grossing domestic film of 2017 in China, and has won a number of awards at Asian film festivals. Youth and Feng Xiaogang also won Best Picture and Best Director at the first Marianas International Film Festival. So how has Youth ‘translated’ to the West? And I don’t mean its subtitles (these were adequate, though nowhere as idiomatic as Tony Ryan’s, in Jia Zhangke’s films). What interests me is what the ordinary film-goer, non-China-specialist, will make of it, what they are likely to take from it, and what will go right over their heads. My gut feeling to start with was that films are much more likely to ‘translate’ well than novels. We all know that Chinese literature is finding it hard to go west, despite the best efforts of writers and their translators. But surely a film, with a relatively simpler story-line, luscious cinematography and gorgeous music and dancing, will have universal appeal? 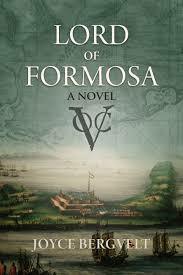 Koxinga was the Ming-dynasty champion who drove the Dutch colonialists from Formosa (Taiwan). In the West he is relatively little-known. But perhaps he'll soon be as famous in Europe as he is in East Asia, as Joyce Bergvelt has taken his dramatic life story and turned it into a sweeping historical novel. Lord of Formosa is a tale with everything: wonderful settings; political intrigue; ambition; derring-do; tragedy; pathos; glory. Here she discusses literature that was used to influence women's behaviour in Tang China. Contrasting approaches, threatening and praising readers, are taken by two classics of Chinese literature. The Book Of Filial Piety for Women by Miss Zheng, the wife of an official named Chen Miao takes a gentle, praised-based approach to influencing female conduct. Meanwhile, Song Ruozhao’s Analects for Women prefers persuasion via threatening language.